Where are the Beans Grown? How Readily is it Available? Where Do You Get the Variety You Deserve? How much do you know about the coffee that’s in your cup at the moment? Is it commercial or specialty coffee? Yes, these are important questions because without some insight into specialty coffee vs commercial coffee you may be missing out on much better brews. Or are you puzzled by the high prices attached to specialty coffee? Yes, there is a (very good) reason for that which we explore below. No, you don’t HAVE to like specialty coffee. There’s a reason commercial coffee is still popular and governs a large part of the global coffee market. Some coffee drinkers simply love it. But don’t simply follow the crowd—don’t let a lack of facts cause you to settle for less than your palate deserves. 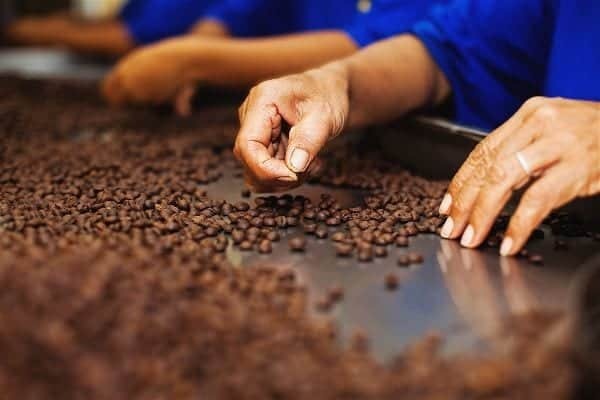 In this article we will explore in depth what specialty coffee and commercial coffee are so you can make an informed decision on where you’ll get your next cup from. Commercial coffee: The coffee you purchase from large brands, roasted and sold in bulk. You’ll find these products in almost any shop. Specialty coffee: This is usually sold as beans and therefore will need grounding before you can make your next brew. It’s sold in bulk or you can purchase smaller amounts from coffee merchants or specialty shops, but not necessarily from your local grocery store. But why the distinction between the two groups? It’s all coffee, right? The answer is actually complex, which is why we’re going to count down the 10 most important differences between the two. Coffee is the result of an extensive process, and it’s not only about the roasting. It’s about where the beans come from and their type. Arabica beans: This type has more than 160 variants and perhaps you’ll recognize some of the names that are often used in references to coffee, such as Tribeca or Acaia. About 60% of the world market consists of this type of bean. Robusta beans: This type provides 40% of the world’s stock. This bean is more bitter and its origin is sub-Saharan Africa. It’s cheaper to produce because it has a larger crop yield. Each type and variant will have unique flavor profiles and this is what you’ll pick up in your brew. Both can be used for coffee production, but the tendency is that only lower grade Arabica beans are found in commercial brands, as well as Robusta. As you’ll see below, cost is vital throughout the commercial coffee production process. Using beans that are cheap to produce therefore makes sense. The top quality Arabica beans that are more acidic but less bitter, are selected for the specialty market. The unique thing about how these are used for specialty coffee is that the brands put effort into knowing exactly where the bean comes from. They also let consumers know these details by placing it on packaging. This is a selling factor since coffee connoisseurs often fall in love with a certain type and would want to keep on buying it. Is this possible with commercial coffee? Not at all. Manufacturers purchase beans from all over the world, the beans are thrown together and what you drink is a mix of all of them. And here’s another difference closely related to the traceability mentioned above. This is part of the quality control process (which you’ll see note throughout this article), but it also caters for consumers’ preferences. They may prefer a certain country’s beans or a particular variety. Does it make a difference? Of course it does! As with many food products, coffee beans’ flavors will be influenced by the soil they’re cultivated in. If you find a specialty coffee with certain tones, you’ll probably want to get your hands on it again. But specialty brands take this approach even one step further. Through this very detailed process you can enhance certain flavors, ensure quality plants and so satisfy customers with particular palates. There’s no chance of this happening with commercial coffee. The coffee is designed to satisfy what the general public finds favorable. As mentioned the beans come from all over the world, but unfortunately you won’t taste all the different nuances. Mixing the beans as well as the commercial production process will minimize or destroy some of the flavor profiles. Is this necessarily a bad thing? No. For many coffee drinkers this is their preferred taste. It’s all about what you prioritize. 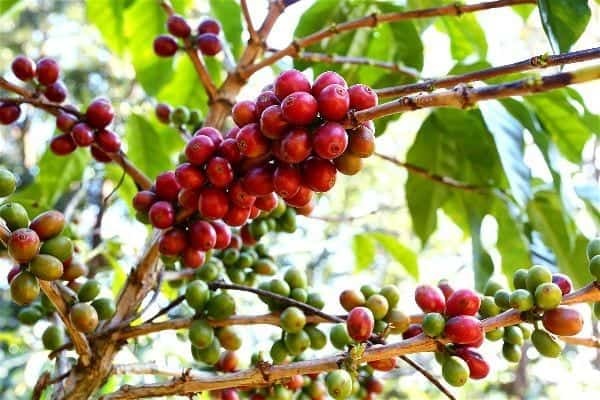 However, it’s worthy to note that commercial coffee often comes from plants that are placed in direct sun, with no thought given to altitude or other beneficial factors. Why? Because the focus is on providing an affordable coffee option, not a high in flavor product. If you haven’t tried specialty coffee yet, this is one reason to at least give it a try. The flavors are vastly different purely because of where the beans come from. The farm your beans are grown on is only the start of the process, however. And yes, each step affects what you end up with. In terms of commercial coffee your favorite brands send in manual labor or even machines to simply get the coffee beans off the plants. The focus is on getting as many beans off the trees as possible. This keeps costs low of course. Picking: The coffee cherries (yes, coffee beans start out as cherries) are only picked by hand. This minimizes damage to them and allows for the unique selection process. Selection: The picking is often done by skilled, trained workers that know exactly how to discern the best cherries on the plant from the sub par ones. They may even get paid more than the average laborer since they have acquired a unique skill to identify the perfect crop: overly ripe (black) or green cherries are left on the plant and only those that are perfectly ripe are selected. Apart from ripeness, the pickers also have to select only the cherries without blemishes. Multiple stages: After picking there may be an additional phase to identify cherries with blemishes or other problems. This is also done by hand. You can see there’s an exceptional quality control process related to specialty coffee. The traceability mentioned above also forms part of this feature. It may seem wasteful to discard so many beans or cherries because of physical problems. However, the industry is luckily not known for unnecessary wastage. 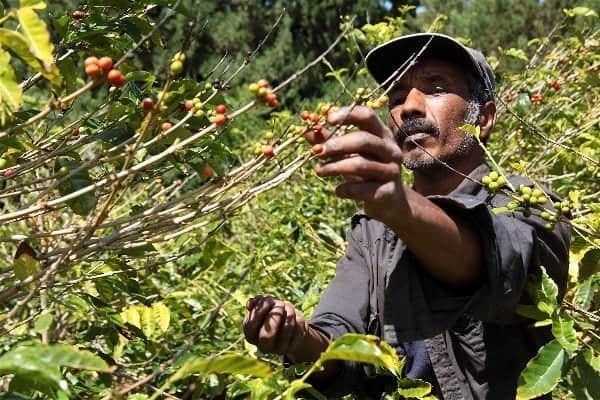 Many of the cherries not picked for specialty coffee gets sold to commercial brands. Of course the outcome in terms of taste is different (more about that below). The information above clearly shows that different types of cherries or beans are considered good enough for these two niches in the industry. While commercial coffee brands use almost any type and condition of bean they can purchase, specialty coffee only accepts the best. What does the best look like? This information you’ll get from entities such as The Speciality Coffee Associations - like the SCA - that are based in Europe and America. These entities are recognized globally and have a responsibility of grading coffee beans wherever they’re produced. Graders take samples (+/- 300g) from each batch and use that to grade the bulk of the beans. If you’re selecting a batch of coffee for use in the specialty niche, you can only consider beans graded as 80 (out of 100) or more. Your favorite specialty coffee will have one of the first three labels. What will commercial coffee brands purchase? Basically, anything. The brands acquire beans whether they have blemishes or not and purchase any of the beans that have a lower than specialty rating. What you get in your cup in the morning is usually a mixture of all of them. Are you starting to see the picture? Specialty coffee is a very unique niche in the coffee industry, providing beans with very specific characteristics. Is it easy to find these right through the year? No. As with any fresh produce, seasons play a huge role in the supply chain. Thanks to modern technology and advanced transport systems it doesn’t mean the coffee you love today will only come round once a year. The market is so popular that coffee merchants and roasters can often plan ahead and provide you with the coffee you love. With a limited supply, you won’t find your favorite beans in all stores. Merchants often focus on providing a few specific ones. Because there is such as variety, as opposed to commercial brands, store owners can’t afford to stock them all at once. There may be times of the year that certain beans are hard to come by, or you’ll have to look for an alternative stockist that does have the beans on hand. Of course, this is one area in the specialty coffee vs commercial coffee debate that the latter wins the fight. It’s ultra convenient when your coffee is always on hand. If you run out you’ll get your favorite brand from the local store, instead of visiting multiple merchants in search of a specific product. Convenience and availability: this could be some of the reasons why some consumers settle on commercial coffee and are very happy in their decisions. What do you usually buy your commercial coffee in? Jars, sachets and packages are sealed when you find them in the store. This packaging will prevent it going stale. However, once opened at home there’s not much that will prevent the inevitable deterioration process. Be honest: does your first cup from a new pack taste exactly the same as the one from the last bit left in the jar? Throughout the roasting and production process, interaction with the air affects the flavor & quality of your coffee. This also happens once you start using it at home. That’s why you’ll see specialty coffee sold in bags designed to keep moisture and oxygen out even after opening. These manufacturers are more concerned about your taste experiences and try to prevent deterioration. The packaging will also clearly state what the preferred time of consumption is. Beans and ground coffee only retain their optimal flavors for certain periods after roasting & grinding. Specialty coffee manufacturers know they need to inform their customers of this timeline so the coffee gets used in time. Specialty coffee is often sold in small quantities. This is so you’ll be able to consume it before this timeline expires. Beans peak in flavor a certain time after roasting, so you want to make sure you start brewing before it’s too late. Your packaging will tell you if you’re in time. In general you should enjoy your brews within 7 - 10 days after roasting. When it’s passed, hopefully you’ve enjoyed most of the product and you can purchase the next batch that have been harvested or roasted later than the previous ones. Once again, you’re very fortunate to live in a time where modern transportation delivers specialty coffee to your local distributor in time for you to still enjoy it before it goes stale. Commercial coffee packaging won’t note these timelines or any of the other detail — such as specific origin — mentioned above. But let’s come back to the roasting process. This is what determines the presence of your favorite flavors. A batch of commercial coffee is roasted in bulk in large machines. It’s easy for beans to burn or not get roasted evenly. In contrast, manufacturers take time with specialty coffee and roast it in small quantities at a time. They need to make sure each bean is roasted to the exact moment of perfection and they’ll deliver options for all the popular roast types. When you shop for commercial coffee you’ve probably noticed you usually have limited options, such as dark roast. Specialty coffee roasters who purchase green beans from the farms, are very particular about when roasting takes place. Providing consumers with beans that are as fresh as possible. Ensuring certain flavors are still in the beans. 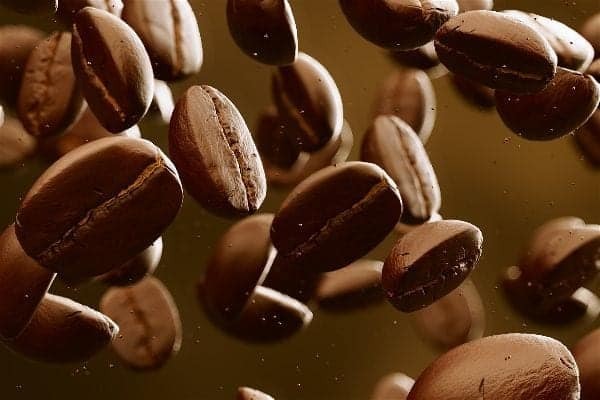 Remember, a coffee bean will go through multiple changes throughout the process as it ages, interacts with the environment and goes through the production phase. Timing is essential to ensure the best features come to the fore in each bean. All this effort is motivated by one thing: providing consumes with the best flavor possible, so they’ll come back for more of that particular bean. Much less thought goes into roasting commercial coffee because the focus is on mass production and profit. For many, a mass produced product is sufficient. But let’s be honest: doesn’t your usual brew become boring after a while? The specialty coffee market caters for many different palates and preferences. It’s designed to help you find a favorite, instead of simply settling for acceptable. Different roasts, with each bringing out different profiles from the same bean. This is why experimentation is important and why it will never become boring. Remember that beans coming from different regions will also taste differently. Apart from deciding how much coffee you add to your cup, commercial coffee doesn’t give you many options to cater for your taste buds. As mentioned you may find occasional varieties, such as French Roast or Dark Roast. This will probably not suffice anymore once you’ve discovered the options in the specialty coffee aisle. Some commercial manufacturers may add artificial flavors that seem attractive, but will never match the quality aromas of specialty coffees. This is also done on occasion to liven up the burnt, dead taste. 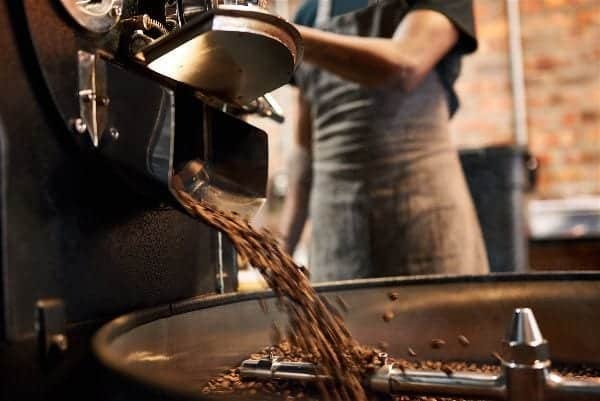 Here’s a lesser known fact: commercial coffee brands often opt for dark roasts because it hides other defects and limits inconsistency in taste. They want you to know you’ll always get the same type of coffee, but this doesn’t mean it will be the best possible option. And that’s the beauty of specialty coffee: purchasing your own beans, grinding it yourself and having more control over the brew allow you to customize and discover the best version of your favorite drink. 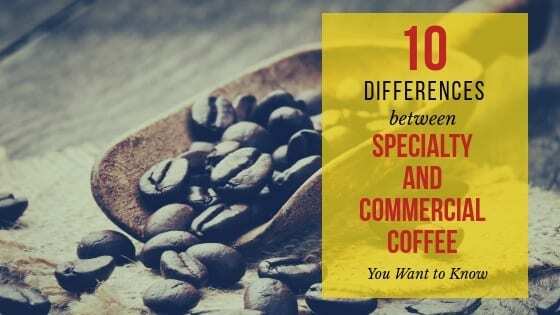 Looking at these differences between specialty coffee vs commercial coffee, it’s clear to see there are some interesting perks to the first option. Some of it you may not have realized previously. But here’s one reason why many still support the latter: price. As mentioned above many processes followed during the production of commercial coffees are focused on saving you money. Mass production and roasting keep costs low so the general public can easily include these products in their monthly budgets. In contrast the specialty coffee market doesn’t use price as a motivating factor in their choices. They know the avid supporters of these products will be willing to spend a little extra to enjoy better flavor. There will always be those who find enough value in these flavors. But you need to decide what drives your coffee purchases. Which is your priority? Price or flavor? This leads us to the last factor: Who do these markets cater for? It’s clear that the specialty coffee market caters for those who are particular about brew flavour. These merchants can provide variety for those who want to experiment on their own. For those that simply want a general coffee, and perhaps haven’t been educated about coffee options, commercial coffee is enough. Of course, budget shopping is another important factor. Now, is specialty coffee the better option? Only if you think it is. You can see that many differences of specialty coffee vs commercial coffee affect the taste and of course the price. Depending on what your palate finds tasty you can get an excellent cup of coffee from any of the two. But is specialty coffee worth the investment, or at least worthy of giving it a try? Yes! Share your favorite specialty coffee brand with us in the comments so others can try it out too. Previous Post What is Dark Roast Coffee? Next Post Is Turkish Coffee Stronger than Espresso?